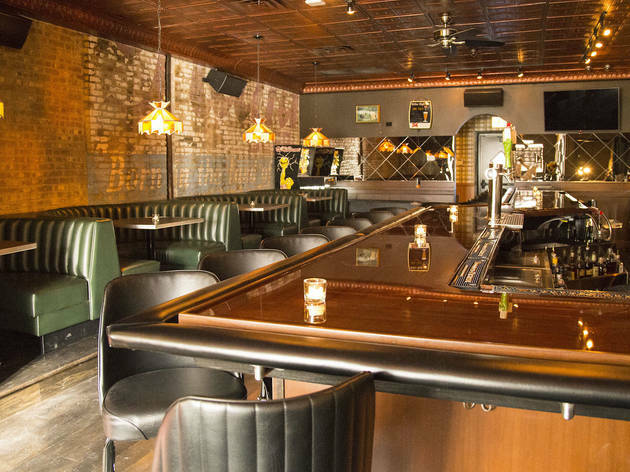 Logan Square gets a no-frills neighborhood watering hole in the old Bonny’s space. Notorious 4am bar Bonny’s was the home of many late night dance parties for two years in Logan Square, before closing in 2012. 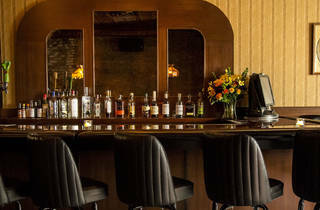 The space remained empty until November 2016 when owners Jared and Carly Savocchi gave the bar a new look and feel, reopening the space as the Native. 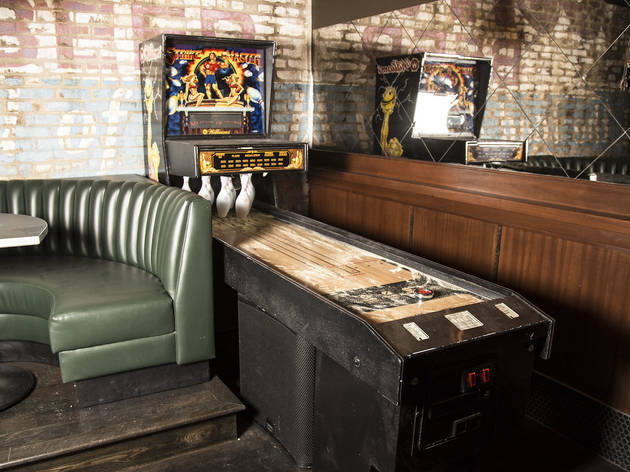 The neighborhood bar is outfitted with ’70s décor, including big leather booths and a maple bar that feels unpretentious, with both a solid craft beer list and budget-friendly domestics available. 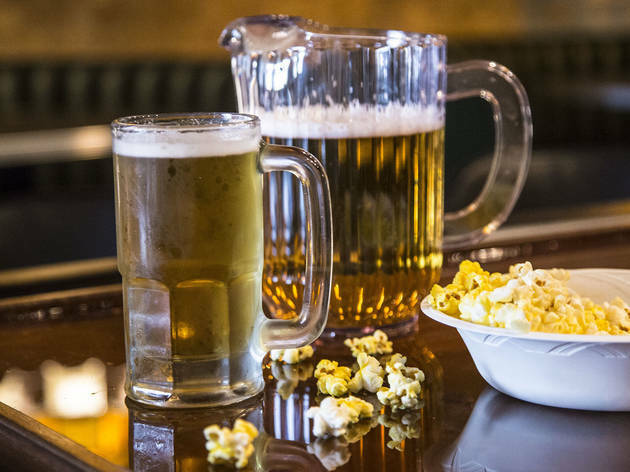 You’ll find free popcorn and $10 frozen pizzas too, making this feel like the ideal place to meet up with friends for beer instead of fancy bites and cocktails. 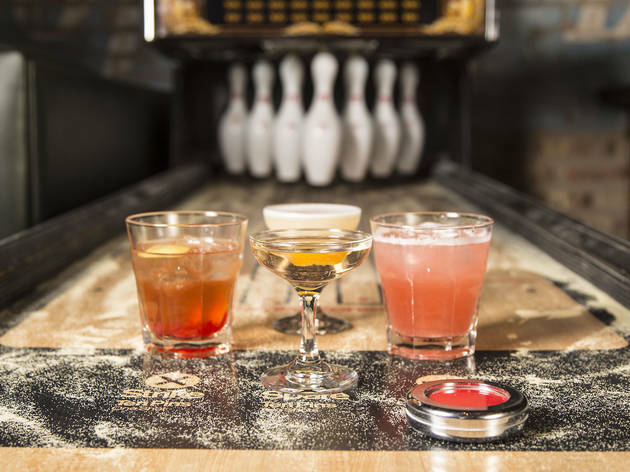 The bar might be relatively new, but members of the community have already started to find their home as regulars—burning through scratch-offs with vodka sodas while Dolly, the resident dog, cleans up any of the free popcorn they’ve spilled. 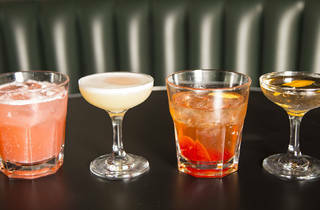 The brief cocktail menu boasts drinks like the Woods—a muddled mix of Yellow Chartreuse, Vida Mezcal, Martin Miller’s Gin and Ancho Reyes that lacks a defined taste. 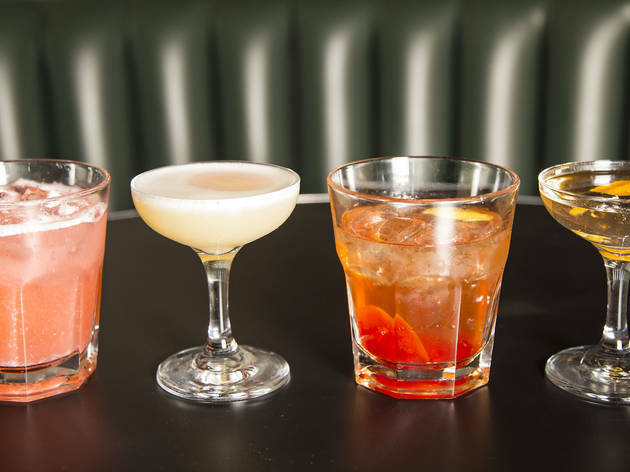 You’ll find twists on a Negroni (made with Malört) and a Wisconsin old-fashioned, but you might be better off ordering a beer. The draft list supplies ten rotating beers, including five domestics (Miller High Life, Miller Lite, Labatt Blue, Schlitz, Old Style and Hamm’s) and five crafts, mostly local—think Half Acre Daisy Cutter and Hopewell 24:37 on our visit. The bottle and cans list includes a list of dependable beers like Founders porter and Off Color Apex Predator saison. Without too many choices, it’s easy to find something you’re used to or try a new beer from a familiar brewery. 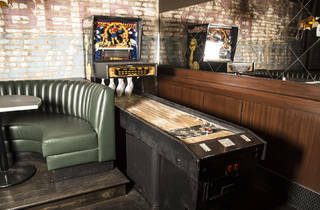 One small TV sits on the back wall of the cash-only bar, suggesting that this isn’t the spot to do anything more than check the score of the game. 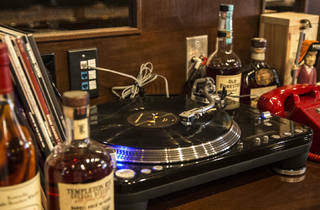 Music plays in the background as friendly bartenders, happy to share a few laughs, set the Native up as the perfect post-work wind down. Get ready to make friends with Dolly and grab a $10 frozen pizza if you need a utilitarian meal. 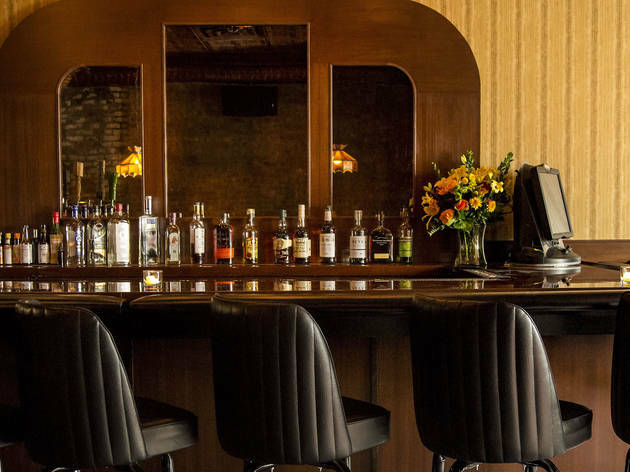 Then, take a seat at the bar, order a drink and get ready to be wooed by what could soon be Logan Square’s new favorite neighborhood spot. 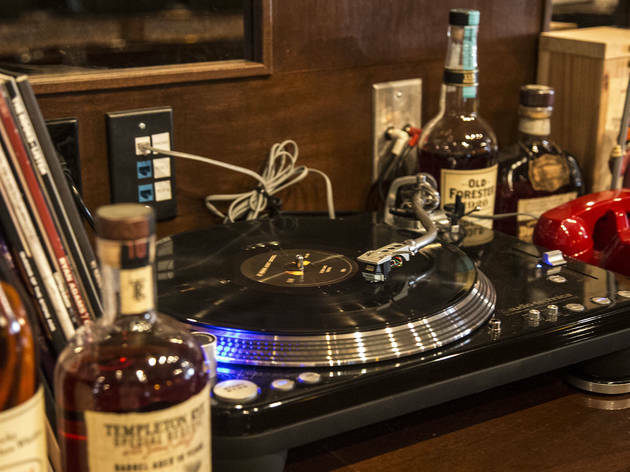 Atmosphere: Laid back and functional. 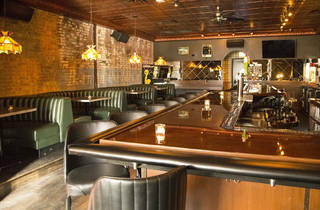 The décor is dominated by dark wood, leather and warm lighting—it feels like a dive bar. 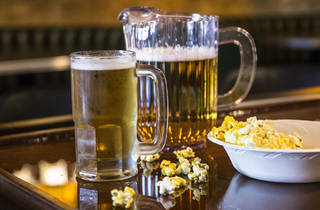 What to eat: Your options are free popcorn and $10 frozen pizza, and you should definitely take advantage of the former. You appreciation of the latter will depend on your opinion of frozen pizza and how many beers you’ve downed. 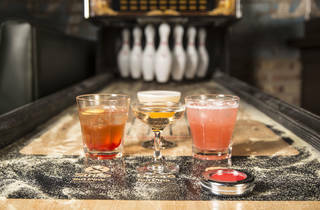 What to drink: Stick to the beer list, unless you’re feeling adventurous. The cocktail menu, while short, only made us wish we were having a beer instead. 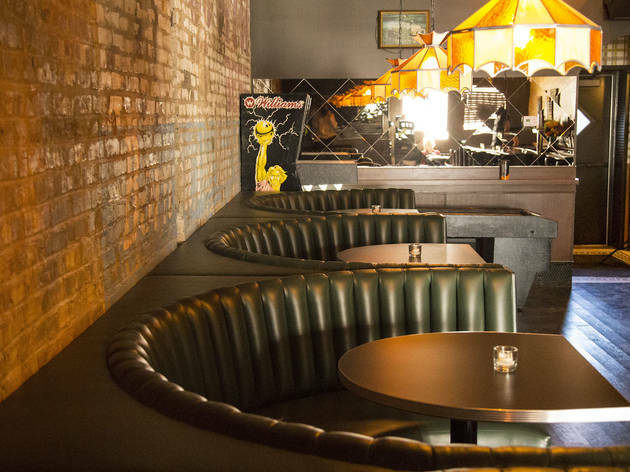 Where to sit: Sitting at the bar will make you feel at home, but large groups of five or six should opt for a booth. 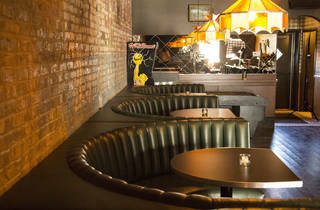 The Native has a slightly divey style with a full patio in the back and a small curated cocktail menu like pisco sours with eggwhite. It's cash only but there's an ATM inside. The bartenders were chill and the patio was pretty empty around 5 so this would be a nice spot for early eve drinking. There's horseshoes in the back for a little competition. I imagine it gets packed later.